The plan is at some stage to make our own Ricotta from the whey left over from Yumblog Amalgamated Dairy Industries yoghurt-making enterprise. However I suspect the quantities involved will be minute and certainly a lot smaller than our massive combined appetites. 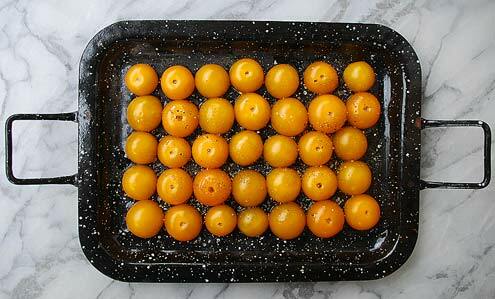 Arrange the tomatoes, cut sides up, in a small roasting tin, season well and drizzle with olive oil. Use a little of the oil to grease two 180ml ramekins or similar oven proof dishes. 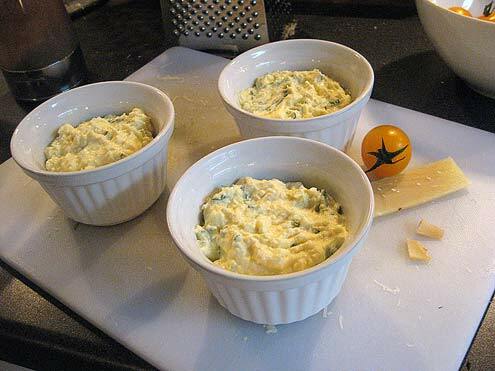 As you can see, we didn’t have anything of the right size so we used three smaller ramekins. It don’t matter none. 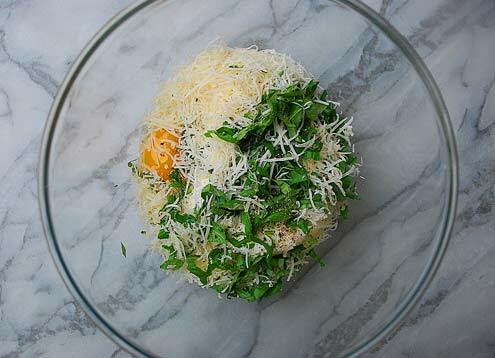 Beat the cheeses, egg and basil together with a little seasoning in a bowl and divide between the ramekins. Bake the Ricotta mixture along with the tomatoes for 20 – 25 minutes, until the cheese is puffed up and beginning to brown. Run a knife around the edge and turn out of the ramekins. 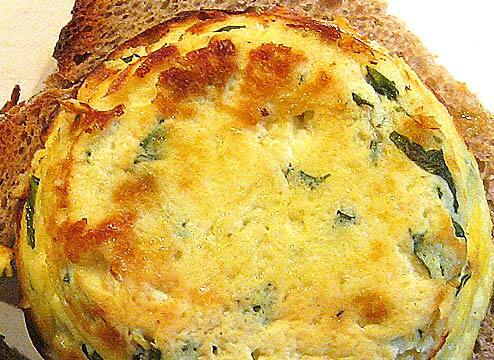 Top with slices of the baked Ricotta. Season with a twist of black pepper. 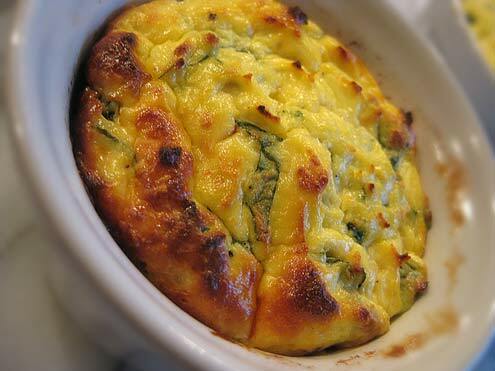 Verdict: A quick tasty soufflé which makes for an easy but special midweek dinner. A whole host of flavour variations could be made. Drink: A light vinho verde, it’s only 10.5% so you can drink loads of it. Entertainment: ‘Eastern Promises’ on DVD. A good, tattootastic film with an improbable happy ending. Blogger D enjoyed the naked Viggo Mortensen sauna fight scene.